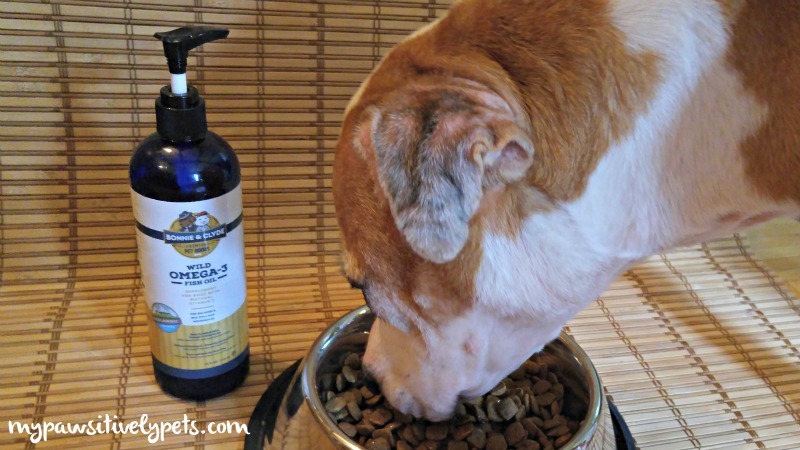 Have you ever considered giving a fish oil supplement to your dog, but weren't sure if it was worth it or not? There are many benefits to giving fish oil to your dog. It's good for their overall health and not just their skin. For the past month, I've been giving my dog a new fish oil supplement. 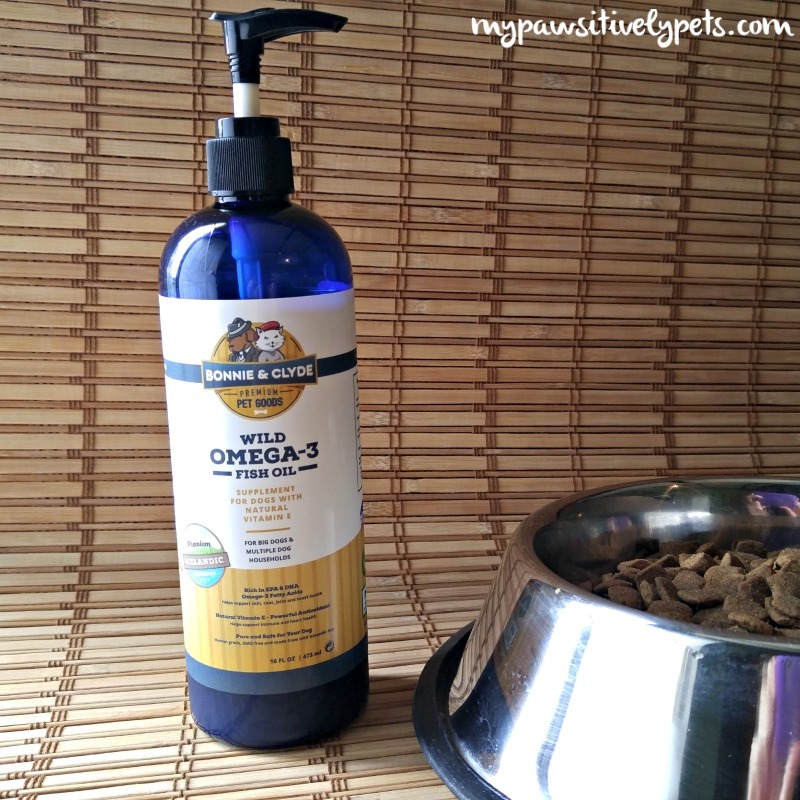 The product is made by Bonnie and Clyde Pet Goods and is called Wild Omega-3 Fish Oil Supplement for Dogs. This fish oil supplement comes in a 16 oz. bottle and has a pump and pouring cap to make administration of the oil easier. I prefer using the pump and I just add the proper dose to Shiner's food once a day. With a 12 year old senior dog, I find it important to take extra measures in keeping her healthy. Many of the health problems listed above are experienced by elderly pets, so it's nice to know I can help to keep them at bay. Since I don't have a before picture of her skin, I'll describe what it looked like. If you notice in the photo above, there are some slightly patchy areas. One of those areas was a big hot spot the size of a ping pong ball. It formed a scab which peeled away after a week, taking most of her fur with it. I believe that the fish oil supplement she's been taking has helped tremendously with the regrowth of her fur. I also notice that her fur seems a little softer than before she was taking the supplement. 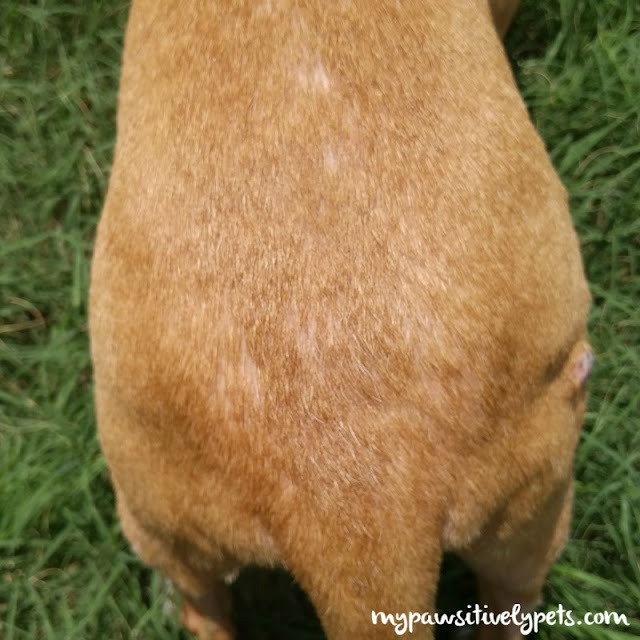 Her skin is still itchy at times, but she hasn't experienced any more hot spots and is less itchy than she was before we started the supplement. It's a bad time of year for her, but the fish oil is helping. And how much does it cost? According to Bonnie and Clyde Pet Goods' website, a 16 oz. bottle of their fish oil will last about 99 days for a 50 pound dog. The cost of giving your dog this supplement per day is just $0.39. The Wild Omega-3 Fish Oil Supplement can be used up to four months after opening the bottle. You can learn more at the Bonnie and Clyde Pet Goods website. Bonnie and Clyde Pet Goods Giveaway! For a chance to win your own 16 oz. 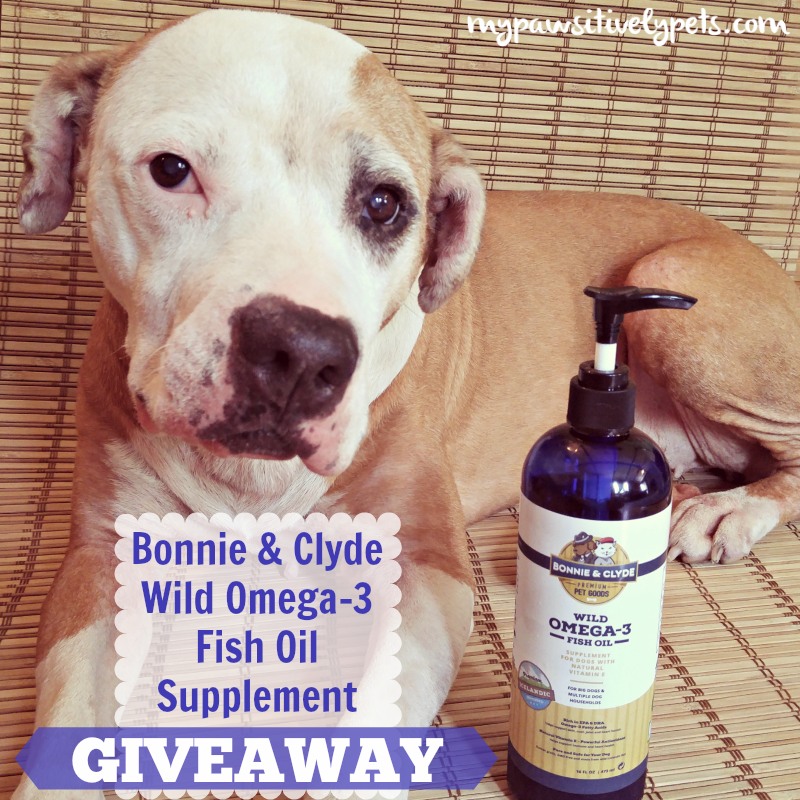 bottle of Bonnie and Clyde Wild Omega-3 Fish Oil Supplement for Dogs, just fill out the form below with as many entry options as you like. (Please not that they are NOT all mandatory! But the more ways you enter, the higher your chances of winning.) This giveaway is open to US residents only (except where prohibited by law), ages 18+. The giveaway ends on July 16 at midnight CST. Good luck! This post is sponsored by Bonnie and Clyde Pet Goods. I am being compensated to help spread the word about their Wild Omega-3 Fish Oil, but Pawsitively Pets only shares information we feel is relevant to our readers. All opinions expressed here are our own! Fish oil is supposed to be good stuff, but we never quite liked it! Sounds like it might be good for us. Should we ask Mom for some? Sounds fishy! We would love to try it out for Katie who is 13 now. I bet Katie would love it! Great review Ann! I tried giving Titan a liquid fish oil supplement and he want no parts of it. So I tried playing a game with him using a fish oil capsule, just like what mommy takes, and he was all into it! Now we call it his "handsome" pill. It gets one daily and I have noticed his coat is nicer, plus the added perks of helping his joints! I highly recommend fish oil and my vet will back it. Thanks girly! Oh my dog, that is hilarious Bren! Titan is too cute. Glad you found a way to get him to take his "handsome" pill lol! Lol... oh Titan is hilarious! With four rescued Treeing Walker Coonhounds, one of who was nearly starved before I adopted her, I find that even a good diet isn't always enough to give my furbabies what they need. Kyoko, the girl who was nearly starved, has come a long way, but still gets issues like dry skin (which is what we're dealing with now). I've heard that fish oil is good for that, but trying to get my dogs to take the capsules with it isn't easy I'd love to have the squirt bottle so I could just add some to their food. Shiner doesn't mind the squirt bottle at all and thinks it's a special treat on her food. The oil is odorless, so that might be helpful. Fish oil is good for cats too. 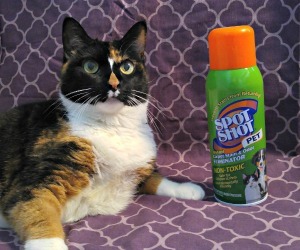 Would this product be okay to give cats...or is it just for dogs? The only reason we haven't labeled the product as for cats is that the fish oil will stay fresh for 4 months, and one cat would not be able to consume the entire bottle within the shelf life. If someone has multiple cats, then the bottle could be cost-effective for them. The National Research Council has established a safe upper limit of EPA and DHA for dogs. It has yet to establish one for cats. In light of that, it is probably safe to use the guidelines for dogs for both species. Translating the data suggests that a dose between 20-55mg combined EPA and DHA per pound of body weight is safe for dogs and cats. This dose is far less than those used to treat serious conditions where the risk of side effects is less important than the benefits of treatment. 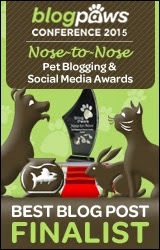 Basically, people can safely give their cats and dogs the oil based on the same dose recommendations (1ml per 10lbs). Thanks for your interest in our product, please don't be shy to post any other questions here, I'd be happy to respond to your concerns directly. We're big fish oil fans for our household ( humans and cats). I attribute EFAs to Merlin's recent recovery from a URI. Thanks for stopping by with your good wishes. That's awesome! Glad Merlin recovered from his URI with the help of fish oil. I'd love to try this with my senior dogs to help with joint health. I also have 2 dogs with dry, itchy skin so I'd love to see if this would help with that too. We've been using the Bonnie & Clyde fish oil for nearly a month and we're barely through the bottle for 4 dogs. This is a fantastic product!!! Wow really? That's pretty awesome Kimberly! We started giving the dogs fish oil quite a long time ago. When our beagle Kobi got older, his fur seemed drier and coarser, and fish oil seemed to help soften it some. We've been giving it to the dogs ever since, though we don't use it daily. I like that this product is more concentrated so less calories, that's why I would like to try it. Shiner's fur had been seeming a bit more coarse as well. This is helping, and I can't wait to see how much more it helps over the next few weeks. I'm very interested in this product since it has added Vitamin E, which is important when you are giving an Omega oil supplement. It is supposed to be good for kidney function, which my senior dog needs! I have 4 rescued older dogs who could use the benefits from fish oil. I would use this for my cats - especially since you posted that it is the same dosage for cats per pound. Great review, my gang are on fish capsules now but would like to try the salmon. It's good for puppies neurological development so I have Glory on it now. 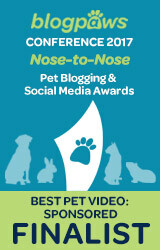 I would love to try the fish oil because my dog Josie could benefit from it. We love her very much and want her to stay healthy. All our pups love fish oil. We currently use a different brand but we'll have to check this one out. If Shiner likes it, it must be fantastic! I would love this for my senior pup to help her feel her best. While my dogs are young and healthy, I want to keep them that way. I would like this for my two young adult dogs as a supplement to try for their coats and overall health.